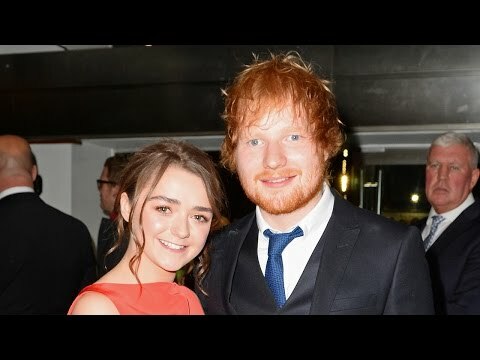 This is proving to be a fantastic 2017 for Ed Sheeran, because not only is he guest starring on one of the worlds most popular shows. But he is also reaching whole new megastar levels in his music career! That's right his new album Divide is actually doing the opposite, it's uniting everyones love for this redheaded super-talented superstar. Songs from his new album are holding 9 our of 10 spots on the top 10 charts right now. Those numbers are truly stunning, and they back up a lot of confident talk. earlier this year, Ed went on about he wants to beat adele with album sales, he hasn't quite achieved that yet, but he still has some time. She is the only other present day artist who has sold more than him. Oh and by the way, ALL of his songs from Divide are in the top 20!! that's insanely impressive. So now it's time for me to shut up and for you to carry on! What kind of character do you think ed will play in Game of thrones? Do you think he will beat adele this year with album sales? Let me know in the comment section below, and be sure to subscribe to clevver news for more. If you haven't had enough yet click right over here to check out best moments from the Kids Choice Awards! I'm your host Tom Plumley, and I'll see ya next time.